Take a heavy bottomed pan. Cook mushrooms in two tablespoons of butter for approx 10 minutes. Keep aside. Melt the butter in a heavy bottomed pan. Add the flour. Cook for few minutes without browning the maida, stirring throughout. Return to heat and cook slowly, stirring throughout until the sauce thickens. Add salt, pepper and mushrooms and mix well. This filling is used for the pie. Sieve the flour and salt together. Rub the butter into the flour with fingertips until it looks like breadcrumbs. Divide the pastry into two parts. Roll the pastry on a lightly dusted board. (to 1/4th inch thickness. )While rolling, keep lifting and turning the pastry to keep it light. Like the first portion, roll out the second portion of the dough and keep aside. Place the pastry in the pie dish, prick the rolled pastry with a fork and line the pie dish with the first rolled portion. Put the filling in the pie dish on the pastry. 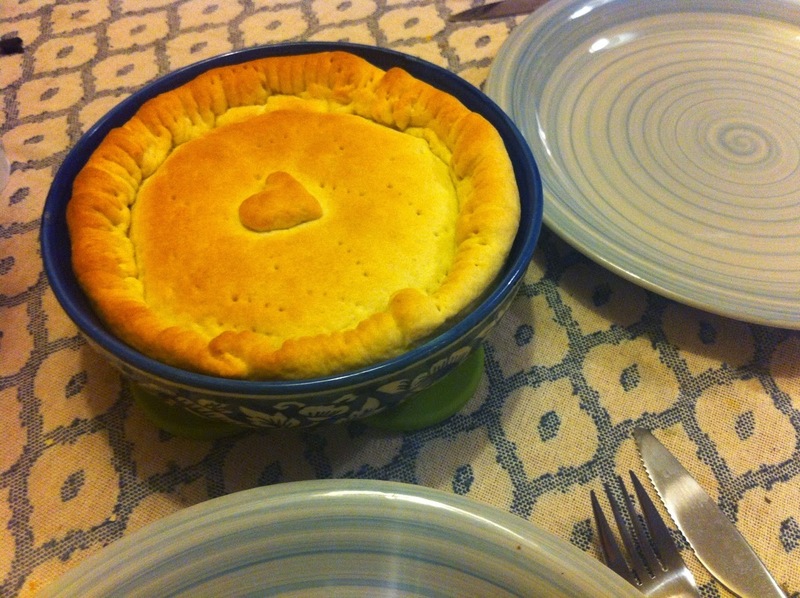 Cover the filled pastry in the pie dish with the second rolled portion of the pastry. Seal of the edges with the tip of a fork. Bake in a hot oven at 450 degree Fahrenheit until the pastry is light golden. Cut in to triangular pieces and serve hot.